The Himalayan salt lamp is actually made up of a salt named Himalayan Pink Salt (HPS) found in areas near Himalaya. Himalayan salt lamps when lit offers a soothing and nice warm glow. Himalayan salt lamps are made with large pieces of pure Himalayan Salt crystals. Himalayan salt lamps got extremely popular over the world in few recent years. Most of the people don’t know the advantages of the Himalayan salt lamp. It has numerous beneficial effects on the human body. It purifies the air, attracting the molecules from the air. So the major pollutants that can damage the human health like pollen, dirt and smoke particles etc. are neutralized. Himalayan salts are hunks of rock salt obtained from Himalayas (typically in Pakistan). In this rock, a hole is drilled up which make space for a heating element or a light bulb. When turned on, a soft soothing glow is produced. The highlighted feature is that the lamp produces negative ions that directly affects the human body and this phenomenon introduce certain improvements in health. The core benefit of using this lamp is that it has an incredible power to remove the dangerous particles present in air as smoke and other contaminants. It absorbs the water vapors present in the air and traps them into the salt crystal. As it produces negative ions in the air, it neutralizes all the foreign particles and environment is kept cleaner for the lungs functionality. We use electronics in our homes daily that produces radiation and increases the stress levels in our body. EMR could also affect or disturb the immune system of our body. Salt lamps help to lower EMR. If we have a good sleep, we enjoy the day. As the mind is stressed from the daily hectic routine and it also affects the sleep. The air quality is made clearer and better if a Himalayan salt lamp is placed beside you. It helps to supply better oxygen to the brain and relax the brain to avoid irregularity in sleep. There are a lot of other benefits which makes the Himalayan salt lamp popular among all. These benefits which make the Himalayan salt lamp a helper in fighting health problems like allergy, asthma and many more. Is your Himalayan salt lamp real or fake? All benefits of a Himalayan salt lamp are effective if it is a pure. Some disreputable people are selling counterfeit salt lamps. There are a few ways to know that whether it’s a fake or a real Himalayan Salt Lamp. Your lamp should possess the property of hygroscopy, mostly in a moist region. Your manufacturer has a good return policy. There are different ways by which you can use your lamps, depending on where the lamps are to be placed, whether it is an office or a house. For rooms or study rooms the weight of the salt lamp rock should be kept in a scale of 6-9 pounds (3.5 kg), for a lounge or any large area the weight of the salt lamp rock should be kept in a scale of 9-12 pounds (7 kg). The Lamps can be replaced with Himalayan Salt Bulbs. This new advancement has made this lamp more compact and convenient. 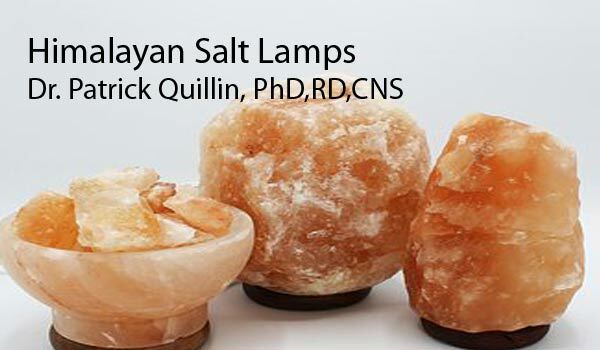 Himalayan salt bulbs provide the same beneficial effects as of a Salt Lamp. Himalayan salt light bulbs are available in various sizes and shapes. Himalayan salt bulbs can replace the lights in our homes. Try one of these healthy devices near your bedside and see if you reap the many benefits. ← Can Intermittent Fasting Really Improve Your Health?